Especially surprising is the way in which designer Maarten Baptist (1976) fulfils his desire to discover new shapes. By playing with expectations, he challenges you to change your view on the environment and products. By using, for example, unexpected form, functionality or production methods, new shapes emerge that are both commonplace and familiar. Martin has a great affinity for the food and hospitality industry. This is why he chose cutlery for his final project for the Man & Living course at Design Academy Eindhoven. This design, called Open Air, immediately received wide recognition. Among others, it was recognised by Professor Gijs Bakker and Director Li Edelkoort from the Design Academy. Today, Maarten Baptist can boast an extensive collection of wonderful products for the table. His work is characterized by organic shapes and an elegant novel approach to everyday objects. Afraid to become jaded, Baptist decided not to set up an independent studio. 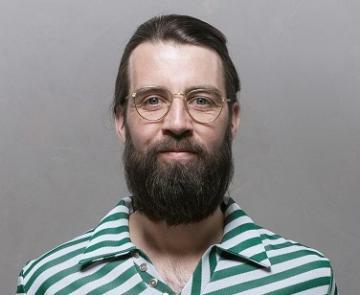 Instead, he founded the JOINE Office for Design alliance. In this way, he remains challenged, is able to stretch the limits of its capabilities and is able collaborate with people from other disciplines. This keeps a sense of wonder of everyday things alive. Changes do not need to be great and compelling in order to achieve a functional effect. His designs regularly feature small imperfections, making them different, but at the same time elegant and familiar. Maarten Baptist has a clear vision, which he communicates through his products - from tableware, kitchenware to furniture - interior designs, and exhibitions . Especially when it comes to food, he aims to challenge professionals such as chefs and cooking enthusiasts. His products have to strengthen the experience of cooking rather than focus on taste alone. He communicates a message with his furniture as well. The Single Sofa couch and Teardrop table provide a solution for uncomfortable TV watching and awkward table dimensions. 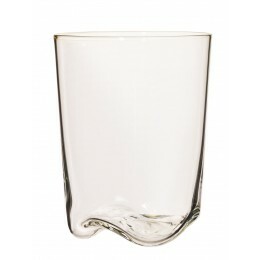 Finally, theGoods Wave glass plays with the common ´perfect´ shape of our glasses. 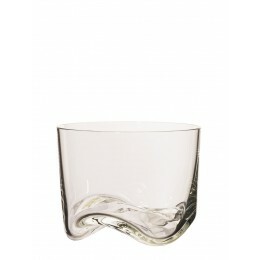 Apart from their quirky and playful effect, the waves of the Wave glasses also have a function. 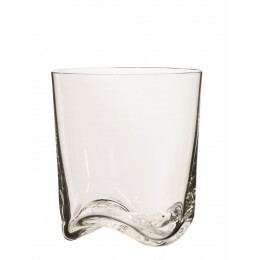 Thanks to their symmetrical shapes, these glasses can be stacked on top on each other! In addition to his work for the label JOINE, Baptist designed the interior of the Time Out bar in Moscow, and curated the exhibition "No Windmills, cows or tulips". His Single Sofa was awarded the Red Dot Award in 2010. His work can also be admired in several permanent collections, such as in the Museum of Modern Art in San Francisco and the Cooper Hewitt in New York. Finally, he is a welcomed guest at events such as the Salone del Mobile in Milan, the Dutch Design Week in Eindhoven, ICFF New York, 100% Design Tokyo, etc.